What do you think of when you think of breakfast foods? My first thought is pancakes. Mmmmm, they are delicious! Breakfast is the most important meal of the day, and there’s no better way to start it off right than with a warm, tasty stack of pancakes. 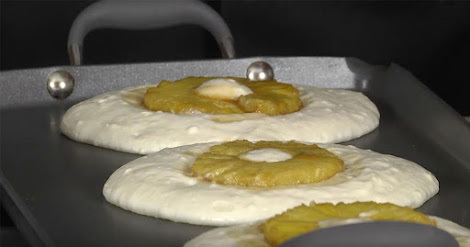 While there are a variety of pancakes you can make, my personal favorite is the pineapple upside-down pancake presented in the video below. Chef Michael Mech shows you a wonderful recipe that is sure to delight all your taste buds. Caramelize the pineapple rings by melting four ounces of butter in a large saucepan. Add sugar and cook the rings for several seconds on each side.